Low Flow Faucets and Fixtures! It’s Time to Go Low Flow! According to the United States Environmental Protection Agency (EPA), a family of four can save approximately $260.00 in utility bills each year. 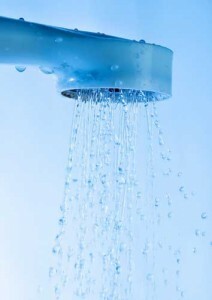 By conserving water, you are also conserving energy since energy is used to treat, distribute, and heat water. By understanding the benefits of installing low-flow fixtures at your home or business, you can significantly reduce the amount of water used per year. A small investment now will substantially decrease the amount of water wasted and put money back in your pocket. Older homes with original faucets can deliver over 5 gallons of water per minute (gpm). By installing a simple low-flow fixture for just a few dollars, you will reduce the usage to only 1.5 gpm. Toilets can account for over 30 percent of water usage in the average home. 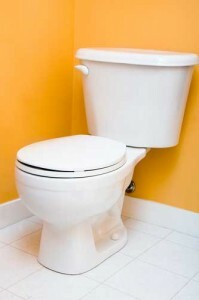 Older toilet models can waste over 5 gallons of water per flush (gpf). With a simple installation of a low-flow toilet model, you will lower the usage to approximately 1.28 gpf. In just one year, you can save over $110.00 on your utility bill. Most showerheads deliver more than 2.5 gpm. For the average family, that could add up to over 40 gallons per day. The installation of a low-flow showerhead will decrease the water flow to less than 2 gpm and still provide a high pressure flow. Annually, you can save over 2,900 gallons of water. 1. Save Money – For the amount of money invested in each installation, you will actually pay for the updates by the amount of water saved within one year. 2. Save Energy – By reducing the overall usage of water, you will also use less hot water and prolong the life of your water heater. The average family could save over 300 kilowatt hours of electricity per year. That is equivalent to the amount of energy a small refrigerator uses each year. 3. Environmentally Friendly – There are many areas in the world that experience a shortage of fresh water. Imagine if everyone decided to save water by makinga few simple installations around their home or business. People could live more comfortably knowing they would never have to worry about a scarce water supply again. There is no question that the installation of low-flow fixtures will save water, money, and our planet. Invest now for a lifetime of efficiency! Don’t delay. Give Heidler Plumbing a call at (410) 268-7191 to save money and lower the carbon footprint of your Annapolis home!